Schneider Electric has an upgrade to mitigate type confusion and stack-based buffer overflow vulnerabilities in its Eurotherm by Schneider Electric GUIcon, according to a report with NCCIC. Successful exploitation of these vulnerabilities may allow an attacker to execute code with privileges within the context of the application. Eurotherm by Schneider Electric GUIcon Version 2.0 (Gold Build 683.0) suffer from the vulnerabilities discovered by mdm and rgod of 9SG Security Team, working with Trend Micro’s Zero Day Initiative. In one vulnerability, a type confusion vulnerability exists on pcwin.dll that could cause remote code to be executed when parsing a GD1 file. CVE-2018-7813 is the case number assigned to this vulnerability, which has a CVSS v3 base score of 7.8. In addition, a type confusion vulnerability exists on c3core.dll that could cause remote code to be executed when parsing a GD1 file. CVE-2018-7815 is the case number assigned to this vulnerability, which has a CVSS v3 base score of 7.8. Also, a stack-based buffer overflow vulnerability exists that could cause remote code to be executed when parsing a GD1 file. CVE-2018-7814 is the case number assigned to this vulnerability, which has a CVSS v3 base score of 7.8. Schneider Electric recommends upgrading to GUIcon Version 2.0 Software Package (Gold Build 683.003), which includes fixes for these vulnerabilities. 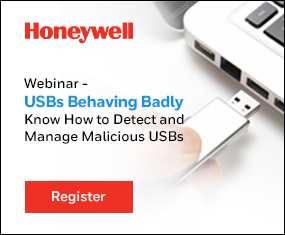 For more information refer to Schneider Electric’s security notification. •	Locate control and safety system networks and remote devices behind firewalls, and isolate them from the business network. •	Physical controls should be in place so that no unauthorized person would have access to the ICS and safety controllers, peripheral equipment or the ICS and safety networks. •	All controllers should reside in locked cabinets and never be left in the “Program” mode. •	All programming software should be kept in locked cabinets and should never be connected to any network other than the network for the devices that it is intended. •	All methods of mobile data exchange with the isolated network such as CDs, USB drives, etc. should be scanned before use in the terminals or any node connected to these networks. •	Laptops that have connected to any other network besides the intended network should never be allowed to connect to the safety or control networks without proper sanitation. •	Minimize network exposure for all control system devices and/or systems, and ensure that they are not accessible from the Internet. •	When remote access is required, use secure methods, such as virtual private networks (VPNs), recognizing that VPNs may have vulnerabilities and should be updated to the most current version available. Also recognize that VPN is only as secure as the connected devices. 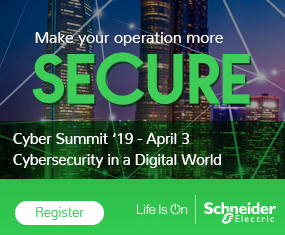 For further information related to cybersecurity in Schneider Electric’s products, visit the company’s cybersecurity web page.